Hunting has for centuries been an essential part of life in Russia's republic of Kalmykia. However, it is now coming under restriction due to a recent presidential decree in the region, aimed at protecting animals. Hunters argue, however, that they perform an important function, protecting livestock from wolves which fled to Kalmykia due to violence in the Caucasus in recent years. Some call it sport, others culling, while for some it’s just a matter of making ends meet. Whatever the motivation, hunting has been part of life in rural Russia for centuries. In Kalmykia, the season traditionally runs from autumn through to winter. In reality, it goes on all year. “It's a beautiful sport, you don't move much but you do get to shoot a lot. There's no real profit to be made, it's just a hobby. We do it for the same reason people go motorcycling or sky-diving, an adrenaline rush,” hunter Konstantin Amlihanov said. Things, however, are changing for the hunters of Kalmykia. In 2008, a presidential decree was issued to restrict hunting across Russia. It aims to protect animals such as the fox and hare, whose fur is so beloved by fashionistas worldwide, but the size of Russia's vast forests and steppes makes enforcement of this edict nearly impossible. And hunters argue they provide a vital service – protecting livestock from natural predators. There are thought to be more than 1,300 wolves in Kalmykia – a huge number, and they’re a real problem for local farmers. Capable of killing up to 50 sheep in one attack, it’s a huge chunk of a farmer’s potential income lost. Kalmykian farmers say that the wolves cause considerable damage and argue the population here is disproportionably high. Large numbers fled the Caucuses between 1998 and 2001. 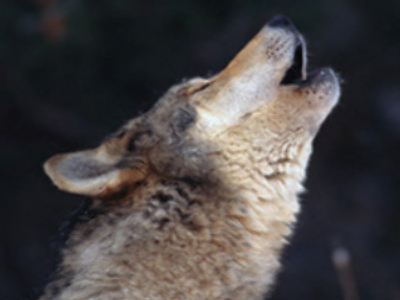 “We've a thousand more wolves here than we should have, meaning culling is essential. Last year we caught 23 wolves and this year we’ll use planes and helicopters to increase efficiency,” Anatoly Darjinov, Head of Hunting Monitoring Department at the Ministry of Natural Resources, said. However, not everyone believes the hunters are driven entirely by environmental concerns. 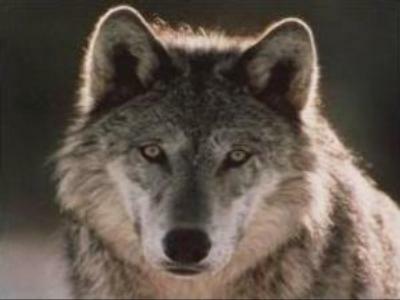 “Wolves are a part of the natural eco-system. Hunting them all year round, in every possible way, even legally, is not justified. The amount of meat wolves eat to survive is tiny. The figures are incomparable with the number killed by hunting,” Vladimir Bologov, Head of the Wolf Rehabilitation Project, said. Vladimir’s centre rescues cubs from local hunters, rearing them before setting them free. He says the numbers of wolves and wolf attacks on farm animals are grossly exaggerated by hunters, who get a government bounty for each kill. Yet Vladimir knows hunters are and will continue to be part of agricultural society. Yet, as their numbers increase, whilst the prey they hunt steadily declines, it's a fine line between what's necessary culling, and what is simply poaching by another name.